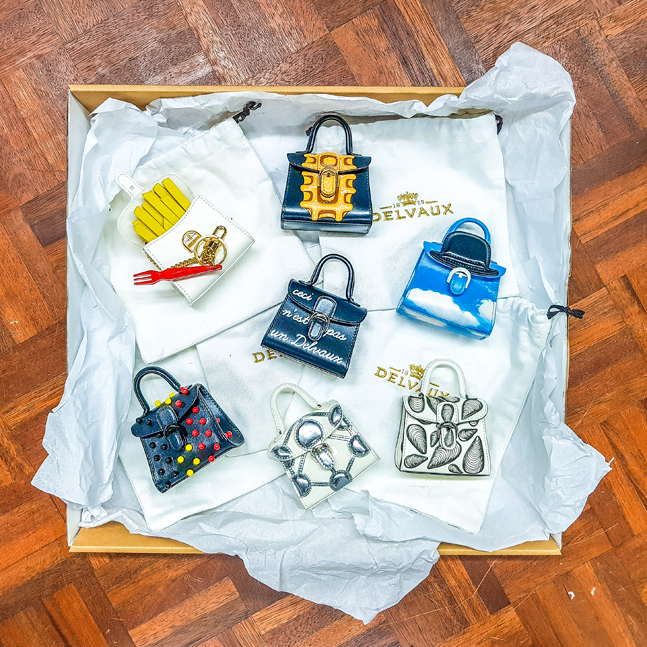 Kindly gifted by Delvaux, MoMu has acquired the ‘Les Miniatures Belgitude’ mini bags! Paying tribute to its Belgian roots, Delvaux has designed seven miniature versions of its most iconic handbag ‘the Brillant’. These limited edition one-of-a-kind cheery little ambassadors of Belgitude is an homage to seven cities in Belgium: Antwerp, Brussels, Knokke Le Zoute, Ostende, Gand, Liège and Namur. Scaled down in size but scaled up in craftsmanship, the seven wearable charms perfectly embodies the spirit of Delvaux. In addition, Delvaux collaborated with Belgian filmmaker Jaco van Dormael to create seven equally playful short films filled with surrealist imagery and optical illusions. This entry was written by Monica Ho, posted on September 15, 2017 at 09:39, filed under Collection. Bookmark the permalink. Follow any comments here with the RSS feed for this post. Both comments and trackbacks are currently closed.